Just like iPhone 6S and iPhone SE, we here have the iPhone 7 Plus teardown. 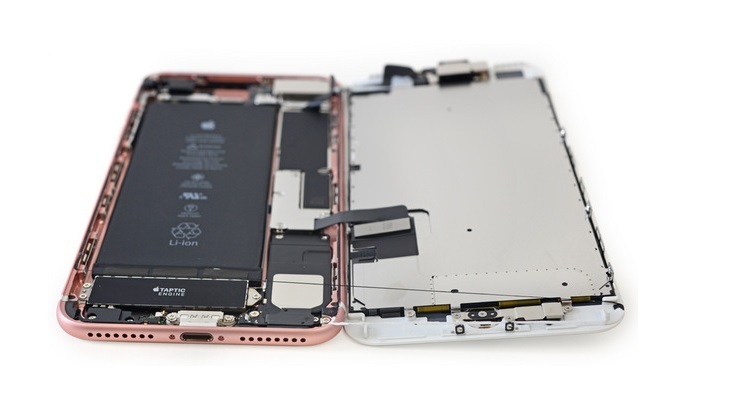 Actually teardown for any iPhone make sense because it actually reveals the important parameters like the battery size and the RAM size inside the device, which Apple actually doesn’t say officially. And again its guys at iFixit who have opened the iPhone 7 Plus to look-into what might be there in the new iPhone. 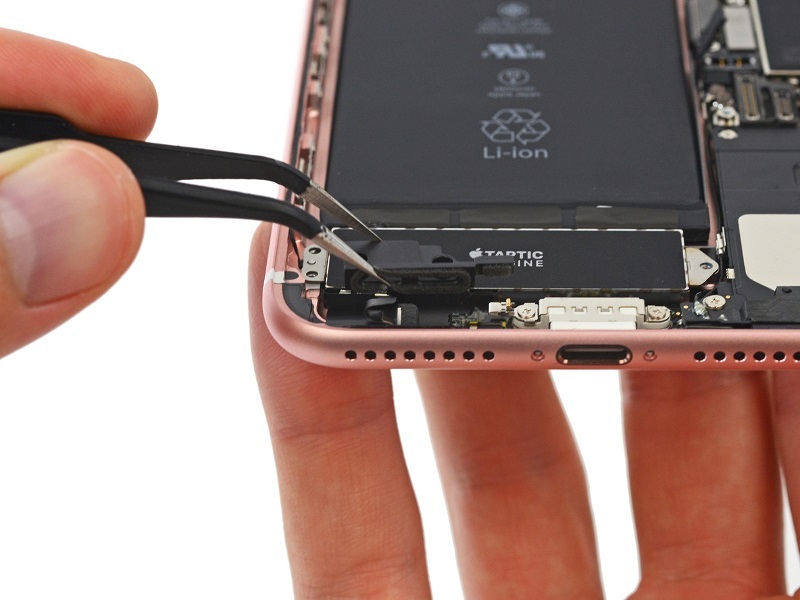 Any device tear down provides a closer look to phone internal parts like the display, camera, logic board, taptic engine/processor, battery, and the Home button. The iPhone 7 Plus is waterproof and so it was considerably stronger than the predecessor models. In terms of battery size, the 5.5 inch model this time gets 2900 mAh battery, a 5% improvement from previous 2750 mAh battery found on iPhone 6S Plus. That 5% addition as report produces 1 hour of extra battery life when compared with iPhone 6S Plus. Inside the Apple A10 processor there is 3 Gigs of LPDDR4 RAM from Samsung. Storage is provided by Toshiba and the audio chip is supplied by Cirrus Logic. In the place of 3.5 mm headphone jack, now we have the Taptic engine and there is plastic bumper which covers the speaker holes on the left side of the Lightning connector. And when coming to camera module, we have two separate sensors.